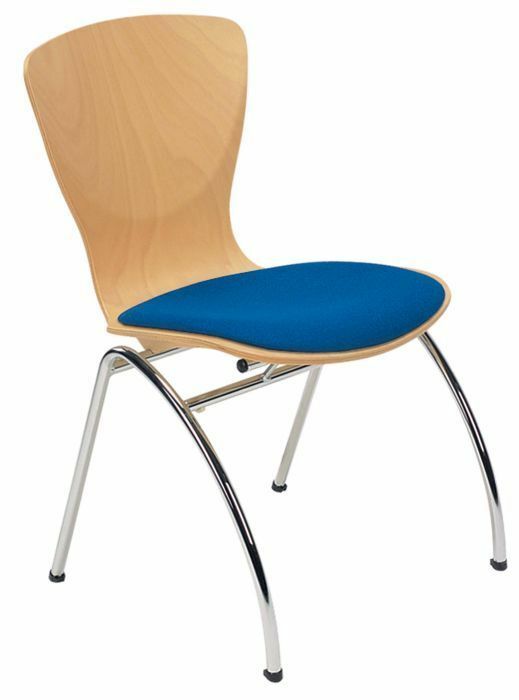 Designer Cafe chair with a heavy duty frame in a choice of three finishes. Includes a one piece shell with a foam filled seat pad for ultimate comfort. Complete with a unique shape chrome frame. Carefully designed chair with a curved high back for added comfort, a padded seat available in a range of different fabric options, and finally supported by attractive designer chrome legs. This is a premium quality item and made to order with a manufacture lead time of approximately four weeks from order.